Bag Boy has been around since they introduced the very first golf cart in 1943. Since then, they’ve been coming up with ways to add technological advancement to their push carts and golf bags. Often, these innovations include ways that help make the game of golf accessible for players that need to keep an eye on their health, such as electric carts and bags with rotating golf club storage. For golfers who don’t have health problems, the gadgets and tech-toys just make the game of golf that much more fun. Quite a few of Bag Boy’s technological advancements have come in the past few years. In 2009, Bag Boy was the only company to make a push cart with a one-step folding process for quick transportation and storage. These carts come with Bag Boy’s G-Force Wheels, which are advertised as “never flat.” The wheels, while not as sturdy as some you’d see on other carts, also have the lowest PSI rating of any other comparable golf cart, meaning less pressure (and much less damage) to the golf course. Most of Bag Boy’s golf carts are push carts. Two of these carts, the Automatic and the Sidekick, were hot-listed in Golf Digest in 2009. Currently, they offer one pull cart and one snazzy electric cart on top of that. 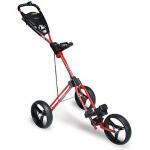 The electric cart is top-of-the-line, built with Bag Boy’s patented gyroscopic navigation. This just means that the cart is smart enough to balance itself through all the hills and valleys out on the golf course. It rolls smooth, straight, and in-line all on its own. 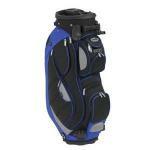 And it wouldn’t be Bag Boy without at least some offering of quality golf bags, given that it’s in the name. They’re all cart bags, and they are all made to fit Bag Boy golf carts, though they’ll likely work with other carts, too. Comparatively speaking, the bags do have a lot of nifty features that most other bags on the market don’t have. The feature that stands out the most is the rotating interior, found on the Revolver Pro and Plus models. Most cart bags also have padded zipper pouches for storing valuables, beverage cooler pockets that zip off for portable carry, oversized ball pockets, umbrella pockets, and ergonomic handles. 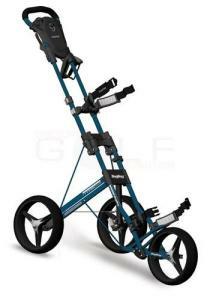 Take a look at the Bag Boy NXO Revolver cart bag, for starters. This model made it onto the Golf Digest Gold Hot List in 2010. Read all of our Bag Boy reviews below. I've seen a lot of travel cases. I've seen the hard shells and I've seen the soft sided. This concept attempts to marry both with a soft sided bag and a hard top. I left the Nike bags, frustrated that I'm consistently drawn to increase Phil Knight's great-grandchildren's retirement accounts. I wandered over to a group of cart bags that really caught my attention. They looked very different from bags that I had ever seen.